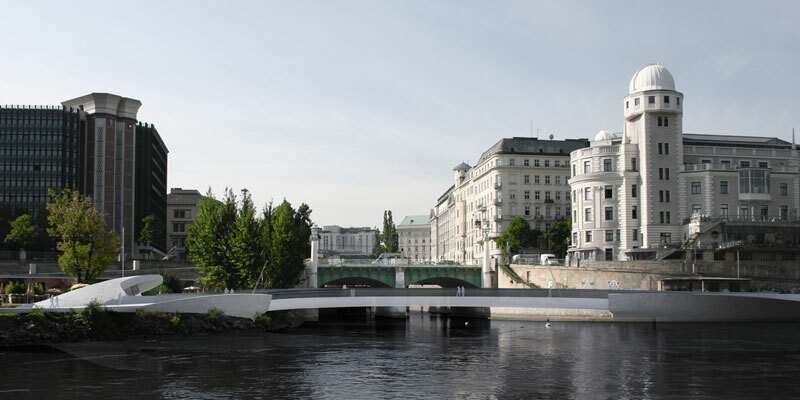 The pedestrian bridge is situated at the confluence of the Danube Canal and the river “Wien“ and marks the beginning of the historic inner city of Vienna. 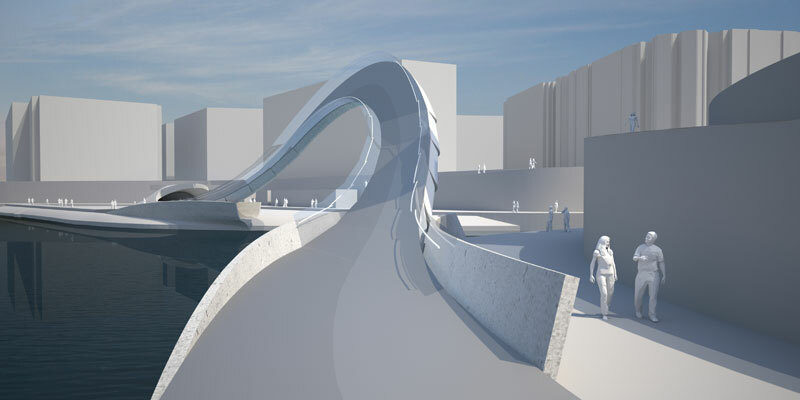 The movable bridge produces a flipping presence. In the closed position it connects the banks smoothly as a continuation of their curvatures. In the opened stage it becomes a widely visible temporary landmark.